Central Industrial Security Force (CISF), Ministry of Home Affairs invites online application through the official website of CISF for the recruitment of 365 Head Constable Posts. Total Vacancy: 365 (Male=328 and Female=37). 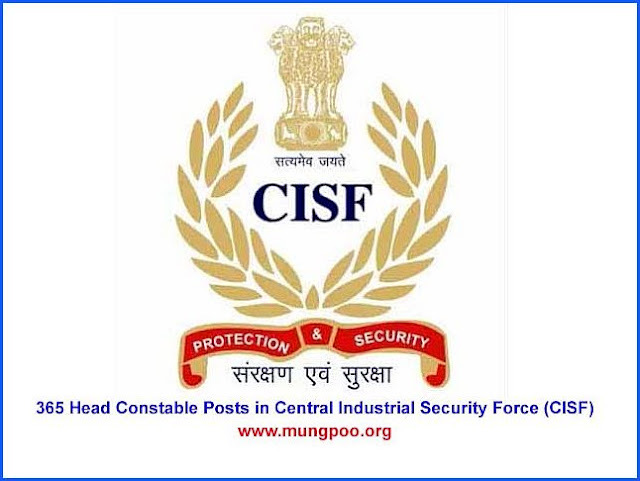 Qualification required: 12th Pass Qualification or equivalent from a recognized Board/Council are eligible to apply online for CISF Recruitment 2019 to the Head Constable posts.